Former Arizona Coyotes captain Shane Doan announced his retirement in the Arizona Republic newspaper on Wednesday. While the Coyotes franchise epitomized volatility for years, Shane Doan was the one pillar of stability over more than two decades. Doan announced his retirement Wednesday morning, less than three months after the NHL club decided not to offer the 40-year-old a contract for the 2017-18 season. 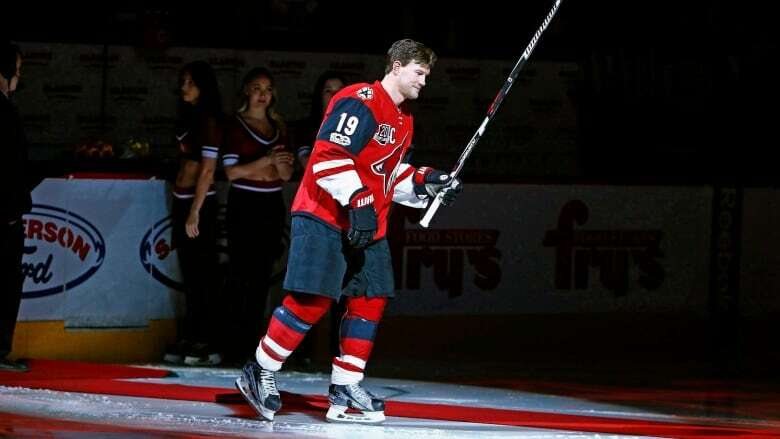 The Alberta native, who played his entire 21-season career with the Arizona Coyotes, is the franchise leader in games played, goals, assists, points, power-play goals and game-winning markers. He was drafted seventh overall by the Winnipeg Jets in 1995, playing one season in the Manitoba capital before the team shuffled off to the desert. Instability has plagued the franchise with ownership and relocation troubles lingering in the background. But the Coyotes could always count on Doan, who was among the longest-serving captains in NHL history after taking over from Teppo Numminen in 2003. A two-time all star, Doan scored at least 20 goals in 13 seasons and topped 50 points 11 times with a career high of 78 points in the 2007-08 season. He won the King Clancy Memorial trophy for leadership on and off the ice in 2010 and the Mark Messier Leadership award in 2012. "Shane had an incredible career on the ice and we are very proud of everything that he accomplished in a Coyotes uniform. He will be remembered as one of the greatest captains in NHL history," the Coyotes siad in a statement. "Off the ice, Shane was a great ambassador for growing the game of hockey in Arizona and his contributions to the community are immeasurable. Shane will be a Coyote for life. Thank you Captain!" Doan announced his decision to retire in an Arizona newspaper. He recalled the excitement of his first NHL game on Oct. 7, 1995 — he had two assists — and said he "probably" knew that April 8, 2017 would be his last NHL game. "I felt an indescribable wave of emotion to have the support that I've had over the years from the fans throughout all of the uncertainty," Doan wrote in the Arizona Republic. "You have always defended me and supported me. Playing in front of you has honestly been one of the greatest experiences of my life." Doan, who entered the league as a teenager, described retirement as "one of the hardest decisions I've ever had to make." Hailing from the tiny town of Halkirk, Doan ultimately grew up in sunny Arizona, building a family there and sticking with the Coyotes even as their viability to stay put was threatened. He signed a five-year deal with the club in 2007 and another four-year pact after that. "I've had some interest from other teams over the years, but there's always been too much pulling me back to Phoenix," Doan wrote in a Players Tribune article in December 2015. "I believe in this organization and I have so much respect for the fans who have stuck with us all of this time. "In Phoenix, there have been long stretches when it's been bad — really bad," he continued. "But the fans still showed up. We'd be surrounded by rumours that we were going to relocate, and I'd look up in the stands and see familiar faces wearing my jersey and pounding on the glass. Who wouldn't skate through a brick wall for them?" It's still uncertain where the Coyotes will play long-term with NHL commissioner Gary Bettman stating in May that the club could not succeed with the current arena in Glendale. Doan got closest to winning a Stanley Cup in 2012 when the Coyotes lost the Western Conference final to the Los Angeles Kings. Doan never won a major NHL award and probably falls short of Hall of Fame consideration, but he brought a consistently rugged brand to hockey in Arizona with renowned leadership and a knack for the net. He even managed to pot 28 goals at age 39 before dropping off to just six goals in 74 games in what stands as his final NHL season. Jarome Iginla was the only player to amass more goals or points from the 1995 draft class. The Coyotes admittedly bungled his exit from the franchise. After signing him to a one-year deal last summer, the club released a statement on June 19 noting the need to "move on" with a younger group. A few weeks later the team's owner, Andrew Barroway, said he regretted not informing Doan of the decision himself while also reiterating the choice as the "right hockey decision." Though no NHL job surfaced for Doan this summer as an unrestricted free agent, his services were being considered for the 2018 Canadian Olympic team — which won't have NHL players for the first time since 1994. Team Canada general manager Sean Burke said he reached out to Doan's representative earlier this month. Doan represented Canada at the 2006 Olympics, also suiting up for six world championships as well as the World Cup of Hockey in 2004.